Knowing they are part of Life, Unending. Can’t we Love each other? Fill this place with Harmony? Let’s try! Make it happen today…. On our sweet planet Earth. alive with your sweet song of Day…. And All the People will know….. The song above, Green Grass, Blue Sky” was written and tuned by Anni during the last day she spent in University. 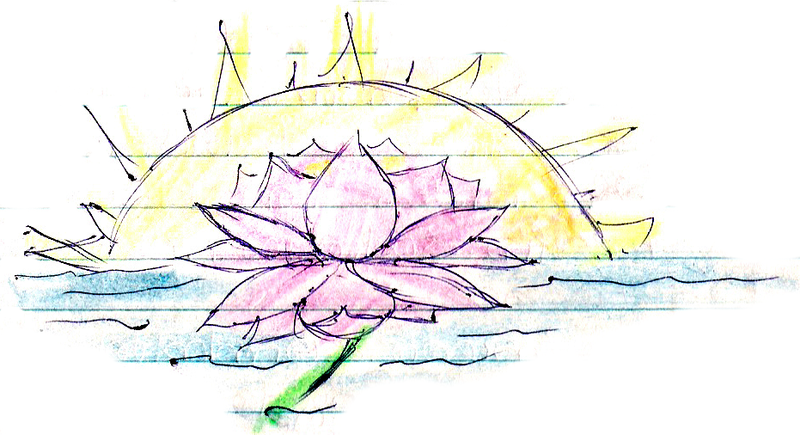 The sketch of the lotus was one among many found in her diaries.